While a US export ban prevented foreign sales of the F-22 Raptor, Japan has endeavoured to develop its own design and is now allegedly in talks with US aerospace giants Lockheed Martin and Northrop Grumman, adding fuel to the world’s fifth generation arms race and providing avenues for Australia’s defence industry to join the $40 billion foray. Fifth generation fighter aircraft represent the pinnacle of modern fighter technology. Incorporating all-aspect stealth even when armed, low-probability-of-intercept radar, high-performance air frames, advanced avionics and highly integrated computer systems, these aircraft provide unrivalled air dominance, situational awareness, networking, interdiction and strike capabilities for commanders. Following the debut of the Lockheed Martin F-22 Raptor, many nations began to speed up the process of developing their own fifth generation air combat capability. Russia began the development of it's own Su-57, while China brought the J-20 and FC-31 to the global stage, the US and allies extended their fifth generation capability gap through the development of the largest defence project in history, the Lockheed Martin F-35 Lightning II Joint Strike Fighter (JSF). 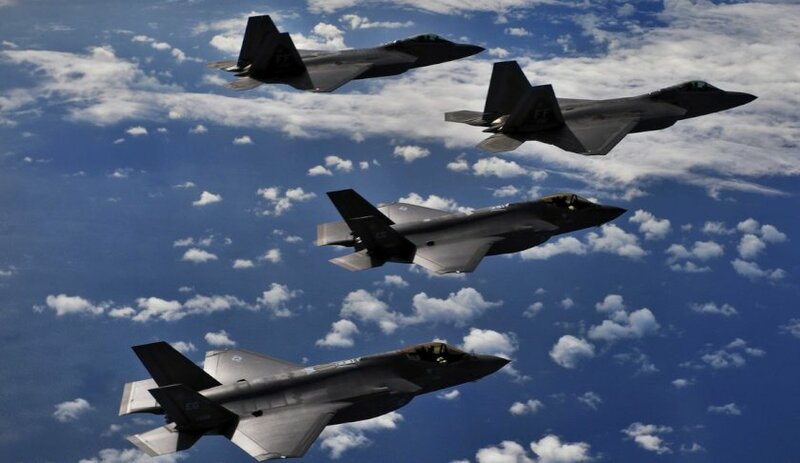 It is the rapid development of China's own fifth generation capabilities, combined with continuing tensions on the Korean Peninsula, which initially encouraged Japan to pursue the export of the Raptor despite an export ban implemented by the US Congress. While committing to the procurement of 42 F-35As, most of which will see final assembly take place domestically, the Japanese government has remained focused on procuring a fifth generation, air dominance fighter, with or without US help, to counter the growing challenges it faces in it's direct region. This resulted in the development of the X-2 Shinshin, a technology demonstrator that proved Japan's domestic aerospace industry could produce an indigenous stealth fighter design capable of competing with the world's best. However, the success of the X-2 was and indeed is limited, which in recent months has resulted in talks beginning between Lockheed Martin and Japanese businesses, namely Mitsubishi Heavy Industries, about the collaborative development of a hybrid F-22/F-35 system. Recent changes within the US political establishment, notably the election of President Donald Trump, has triggered a major rethink in the policies that govern America's arms exports, opening the door for Japan to engage with major US defence contractors like Lockheed Martin and, as recently as the weekend, Northrop Grumman. Both companies have a history of developing highly capable fighter systems; Lockheed's F-22 Raptor is the world's premier air superiority and air dominance fighter aircraft, while Northrop Grumman, largely famous for it's UFO like B-2 Spirit stealth bomber and the new B-21 Raider bomber, competed with the Raptor design during the competition to replace the F-15 Eagle in the early '90s with the YF-23 Blackwidow. The Blackwidow, although unsuccessful in the competition, presented the US Air Force and now Japan with an incredibly stealthy, fast and manoeuverable air frame. The Japanese requests for information (RFI) identify that the program would be worth approximately US$40 billion for up to 100 new stealth fighters and would see increased global industry participation. It is understood that Northrop has provided a suite of technologies that could be incorporated into the Japanese F-3 project. Meanwhile, Boeing and European conglomerate BAE Systems have also been invited to contribute to the program in an attempt to spread development costs and burdens. For Australia, allied involvement, particularly by the US and UK in the development of a new, fifth generation air superiority fighter presents a number of opportunities. It could, in some way, call into question the procurement of the reliably troubled and delayed F-35 JSFs, 72 of which the nation has committed to purchasing. Australian procurement could mean enjoying a highly capable, interoperable and future-proofed airframe operated by Japan, a key regional ally, and potentially the US and UK, which agreed with the Japanese government in 2017 to collaborate in the joint development of a fifth generation aircraft to replace the Royal Air Force's Typhoons within the next two decades. Global participation in the project, particularly around the design and manufacturing phase, presents Australian suppliers to the F-35 program with economic opportunities and incentives for wanting the project to proceed. In particular Marand and Quickstep holdings, which enjoy existing global supply chain relationships with key US contractors Lockheed Martin and Boeing that could place them in good standing to bring their advanced manufacturing and materials engineering solutions to the $40 billion project. These recent moves by the Japanese have also been echoed by a combined French and German push to develop their own next-generation fighter aircraft to compete with the F-35, which was announced over the weekend. Australia's developing relationships with key European manufacturers and governments, particularly France, Germany and the UK, stemming from the government's $195 billion defence capability and industrial capability plan provide further opportunities for Australian industry participation.